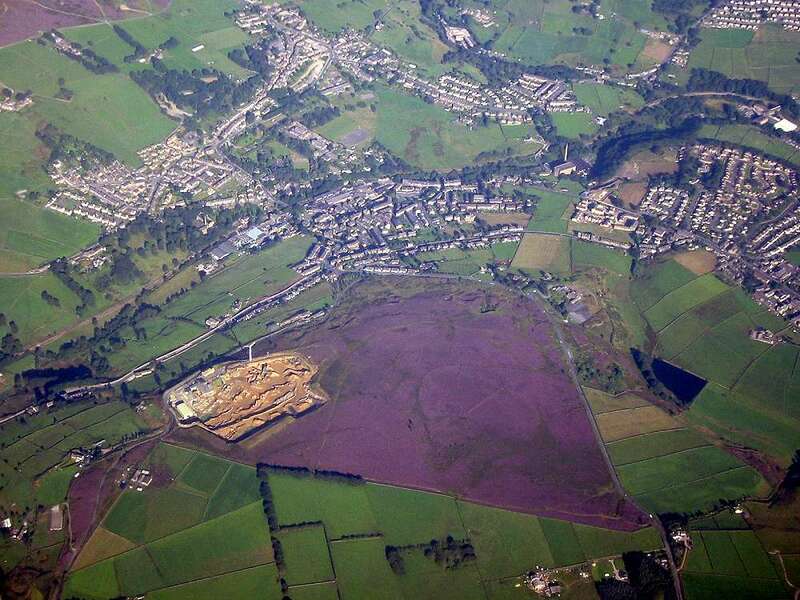 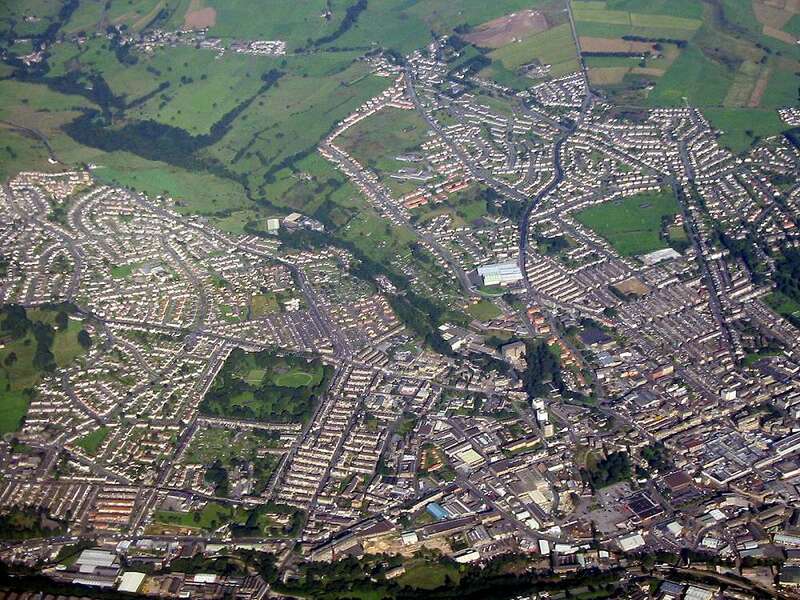 Aerial view of Keighley, Lund park is to the left of centre, bottom right is Morrison's supermarket. 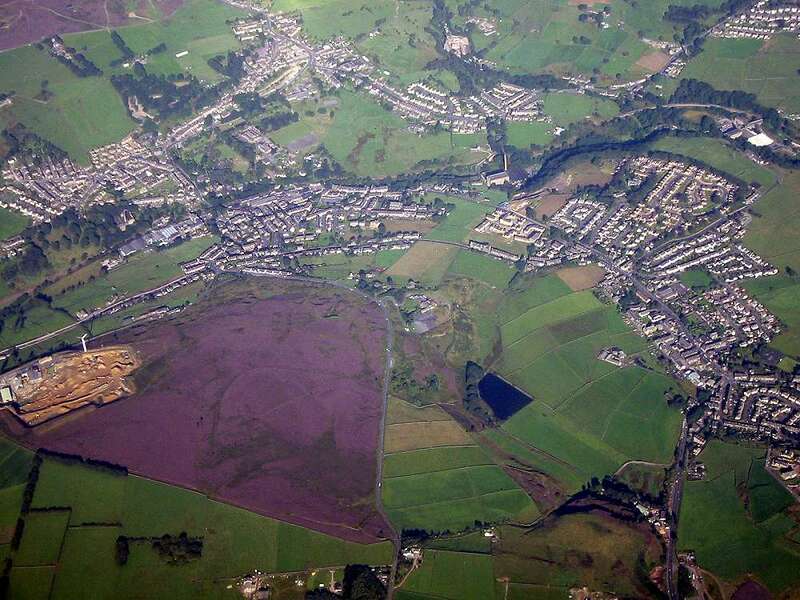 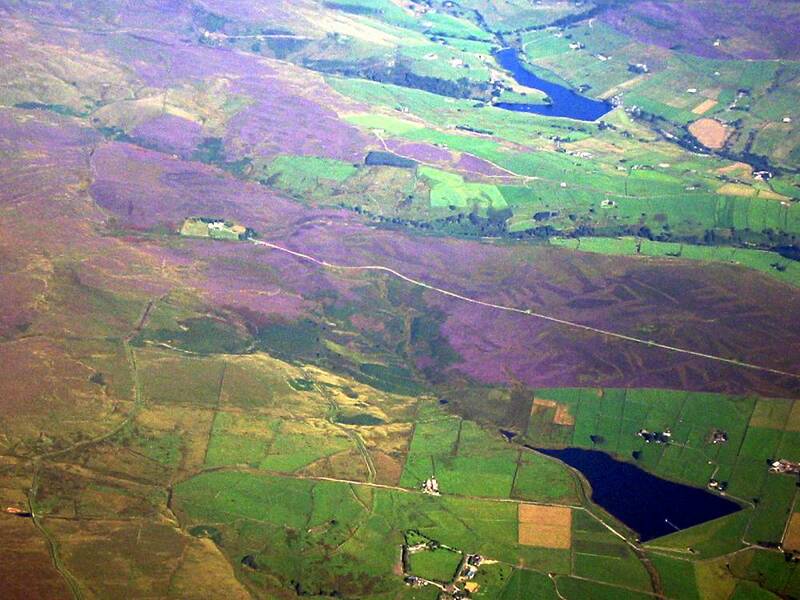 Aerial view of Cross Roads with Haworth, top left is Stanbury and Lower Laithe reservoir. 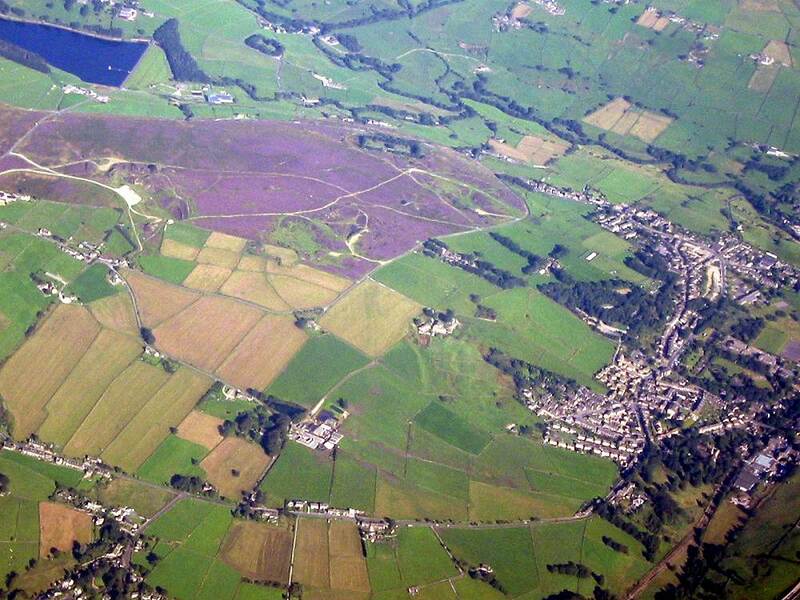 Aerial view of Haworth, left of picture is Gillsons quarry at Naylor hill with the turbine. 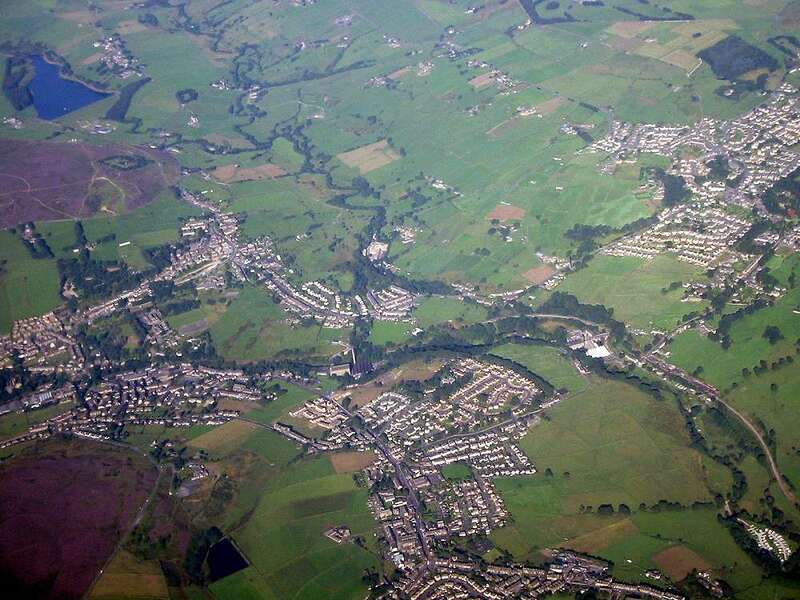 Aerial View of Haworth looking west. 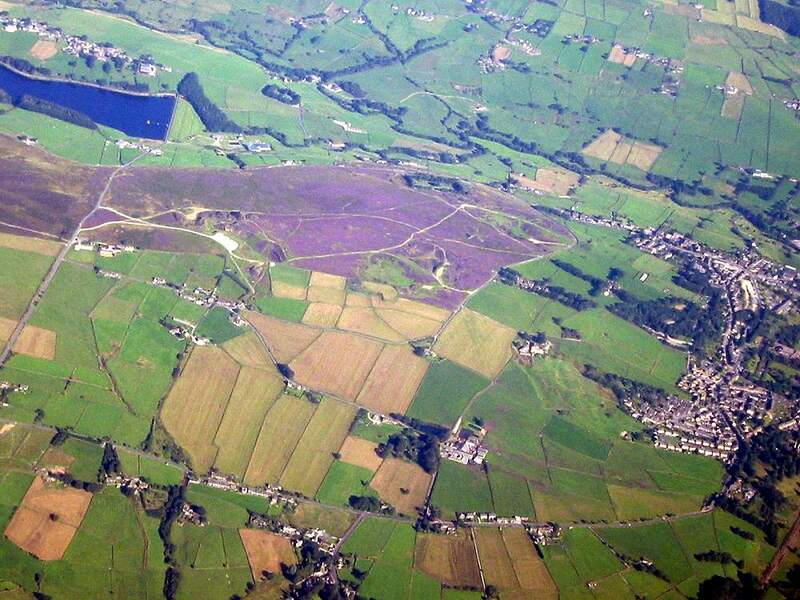 Penistone hill is marked by the purple flowering heather, to the right is Haworth. 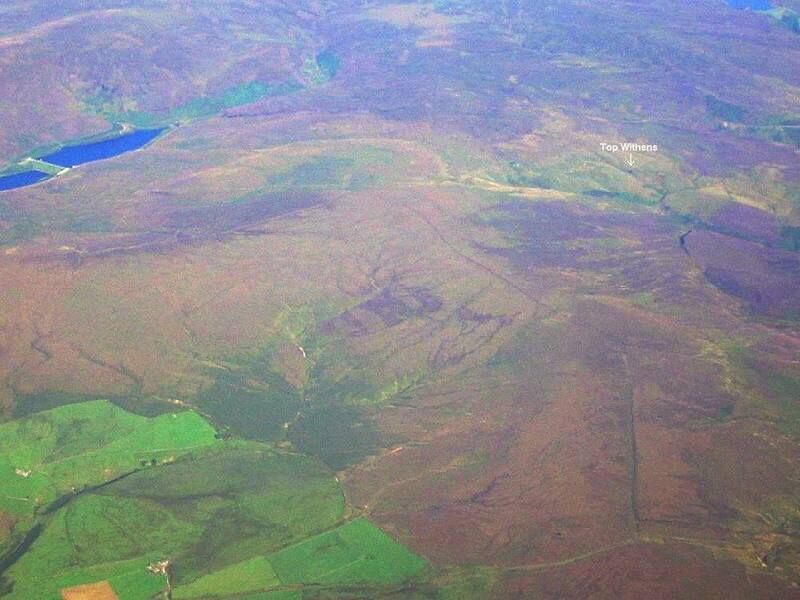 Aerial view of Penistone hill with Lower Laithe reservoir and Stanbury.